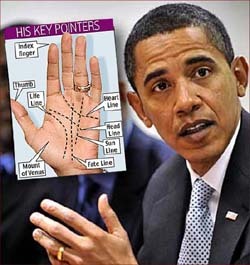 Chinese palmistry: medical palm reading from China. 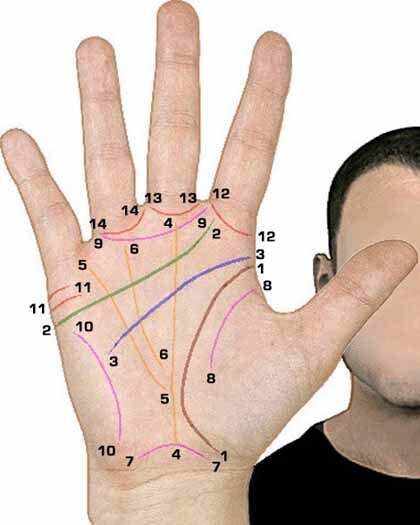 In China is Palmistry always been a branch of Traditional Chinese Medicine (TCM). 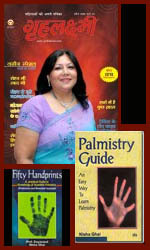 According TCM Palmistry the palm, the thumb and the fingernails provide interesting clues about your heart, your digestion and reproductive system. 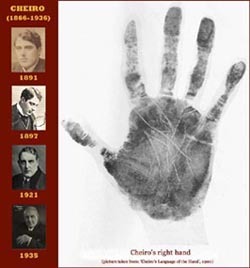 An article including: the history of palmistry in China & the 4 pilars of ‘Traditional Chinese Medicine’ (TCM). 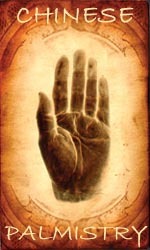 Traditional Chinese medicine doctors say they can study your palm and learn about the state of your heart, healthwise. The color (pink is healthy), appearance of blue veins and lunula (white crescent at the base of the fingernail) all are indicators of health in TCM. Health problems can show up in your hands, palms and fingernails and if you read the warning signs, you can improve your constitution. Dr Ma Xueling, a TCM folk doctor from Shang Hai provides some guidelines for medical palm reading on the basis of your fingernails, your veins & the color of your hand. Hosanna… a Palm Sunday hand reading!! A Palm Sunday hand reading. Palm Sunday is the Christean feast on the sunday before eastern – refering to the triumphant entry of Jesus into Jerusalem while he was welcomed with waving palm leaves in the days before his Passion. 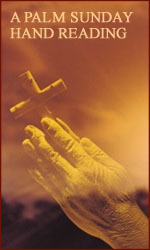 An article about: hands related bible quotes, bible art + a tribute to the work of pastor Larry Wood: ‘Hands in scripture’ – which includes a new paradigm for spiritual thinking based on the hand. PalmSecure: Fujitsu’s vein pattern palm reader! Earlier this year Tokyo-based Fujitsu presented it’s PalmSecure – a vascular pattern recognition system to accurately identify people while they hold their palm just above the cube. 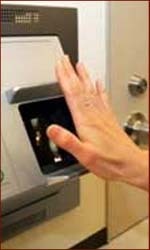 For years, biometric fingerprint scanners have been used, but there are various problems with fingerprint scanners. For, researchers were able to prove that a flat photograph or molded fingertip can easily fool these devices into giving a false approval. But with Fujitu’s PalmSecure the situation has improved dramatically. The PalmSecure scan requires less than a second, and it captures the unique branching pattern of blood veins and instantly converts key data points into a numerical code that can be compared with other palm scans to identify matches. The miniaturized device can plug into a laptop computer via a USB port, while an alternative version released last year incorporates the palm scanner into a computer mouse to facilitate secure logins. Carolinas HealthCare System, the nation’s third largest public healthcare provider, began using PalmSecure last year in several major hospitals as part of the nation’s first biometric patient identification system based on vascular recognition technology. Now deployed at eight locations and two urgent care facilities, the identification program has enrolled about 170,000 patients in all. 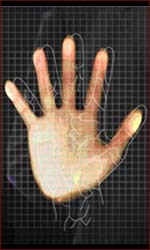 Once patients have registered their unique biometric “vein template,” it can be linked directly to their medical records. This month Fujitsu announced ValleyCare as the first hospital in California that will use the PalmSecure for it’s patient registration and identification system. The (TM) palm vein authentication technology is part of its new Patient Access Lifetime Match (PALM). Doctors spotted cancer with palm reading! 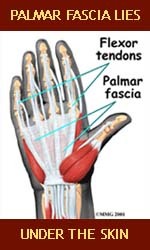 Palmar fascia lies under the skin. 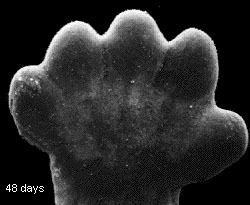 Lumpy areas on the palm can signal cancer. Medical experts say that spotting ovarian cancer – widely known as the “silent killer” – is extremely difficult because the symptoms are usually vague and often go unnoticed. However, only recently the medical experts at the Royal Free Hospital in London diagnosed a case of ovarian cancer in a 74-year-old woman, after she presented her palms featured with thickened skin. 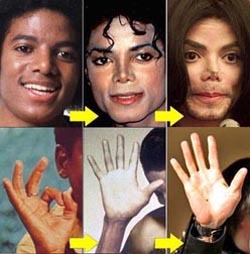 Four months before she had noticed lumpy areas on her palms which then progressed to general thickening – but she was otherwise healthy and had no other symptoms. In the Journal of the Royal Society of Medicine, the expert team said they suspected the condition known as palmar fasciitis, which could be linked to cancer. 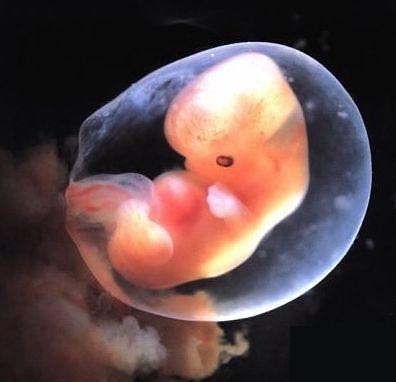 And indeed they found an ovarian mass, a phenomenon known as a ‘paraneoplastic syndrome’ – which is characterized by symptoms that occur because of a cancer, but the symptoms are not directly related to cancer cells present in that area of the body. 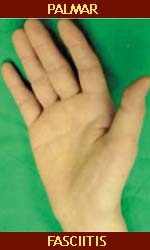 Other manifestations include types of arthritis or nerve problems. After this early diagnosis the medical experts were able to treat the patient successfully with chemotherapy. Palmreader Dmitry Karabetskiy reads palms in Karaganda (Kazakhstan)! “Palmreader was developed by Russian programmers, using advices of well known palmists and analyzing books about chiromancy. 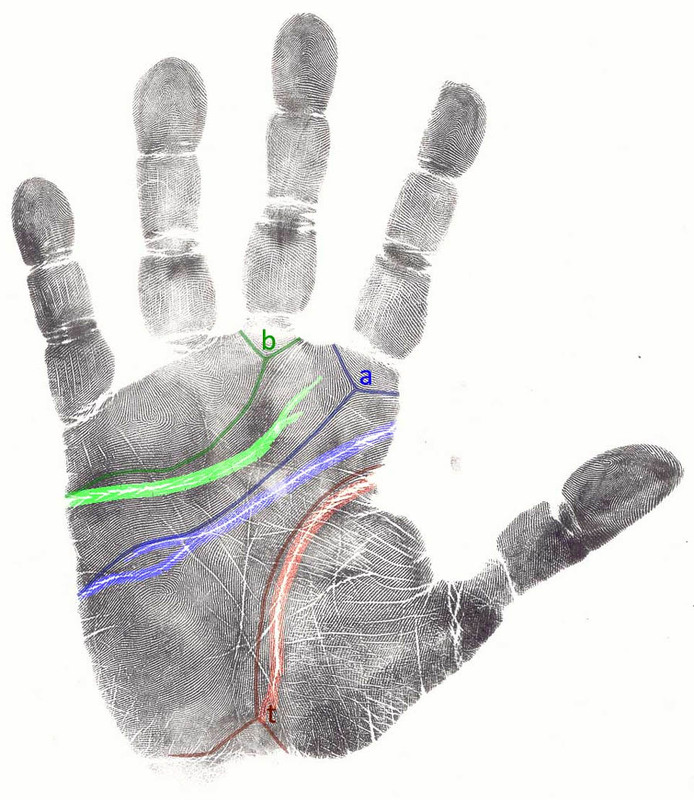 The Palmreader service developing was guided by the logic and exact analysis of a hand figure, instead of a beautiful design (a beautiful design considerably increases the size of file and downloading time).